The Louisville metropolitan area is not only well-populated at more than 1.2 million residents, but it’s also close to multiple other states. This location gives it a unique marketing advantage, as your business can quickly expand to reach many different communities. 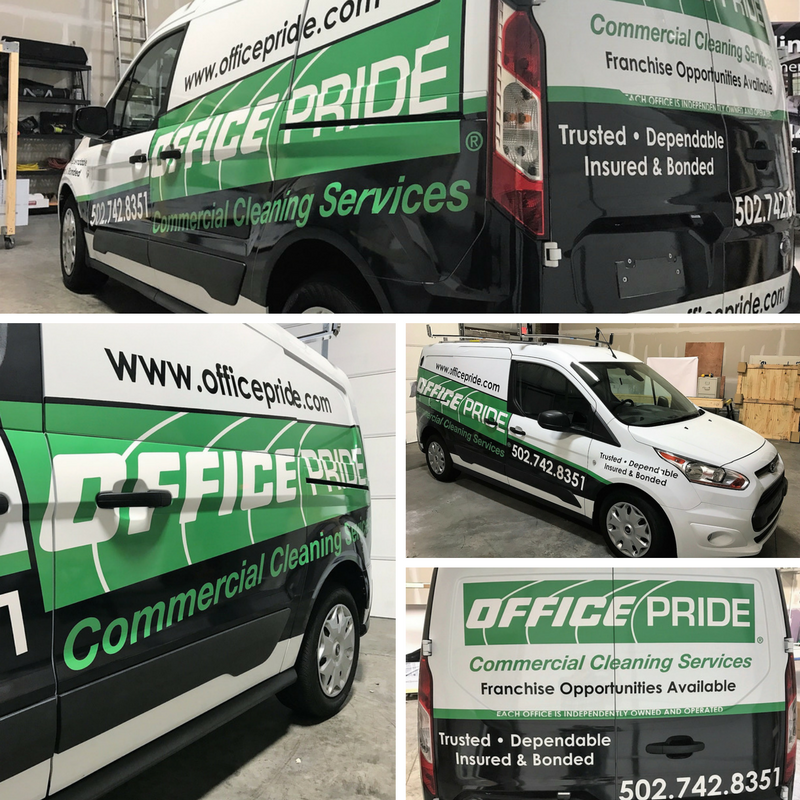 SpeedPro Imaging Louisville East will help your company strengthen its brand by creating vehicle fleet wraps that transform your dull cars, vans and trucks into indispensable advantages. If you’re operating in Louisville, Shelbyville or southern Indiana, we’ll gladly provide our services and resources to you. By implementing wraps, you’ll be entering a quickly expanding market near the ground floor. The nation’s vehicle wrapping industry is expected to nearly double in revenue between 2016 and 2022, which represents a healthy outlook for the effectiveness of these marketing tools. The proof is in the research, as a study showed that a single wrap can generate up to 70,000 impressions per day. Multiplying that number by the number of vehicles you own only makes it that much more appealing. While the upfront cost of wrapping their whole fleet might make some people worry, the decision’s long-term effectiveness and affordability can’t be understated. The cost per 1,000 impressions with wraps is just $0.70, which is vastly superior to popular marketing mediums like primetime television and newspaper ads. Our visual communication experts are equipped with the know-how and materials to handle the wrapping jobs for any kind of vehicle. We’ll work with you closely in every aspect of the process, from design to installation. Your satisfaction is our ultimate goal. Choose from full fleet wraps or partial wraps, both of which are created using a variety of industry-leading materials. We’ll consult with you to find out what would suit your project and goals best, but the durability of your wrap will never come into question no matter what you choose. With long-life inks and laminates, your product should remain vibrant for years! 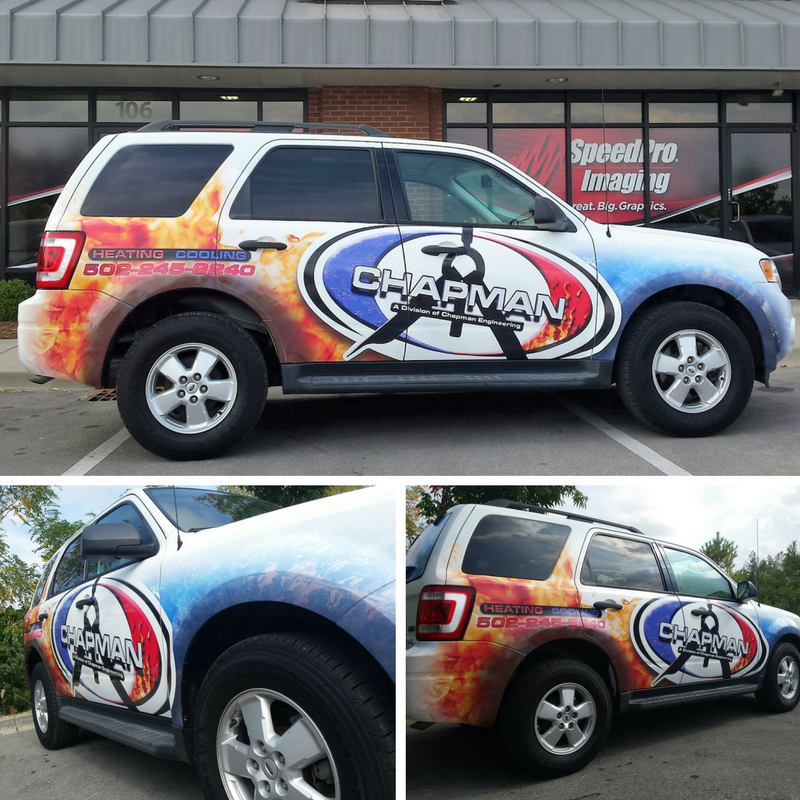 Full wraps offer the full 3D billboard experience, as they coat most of the vehicle outside of the front windshield and front door windows. Partial wraps are usually contained to a particular side or area, but we construct them in a way that maximizes their potential while minimizing cost. When your vibrant wrapping job is complete, you’ll be able to gain new customers just by running a quick errand! Once we square aware the design and printing aspects of the process, we can move on to scheduling your wraps for installation. They’ll be done one at a time, but we’ll work with you to keep your timeline intact. We have good news: Your vehicle fleet wraps are just one phone call away! Contact us today so that we can arrange your consultation. To visit us, come to our studio on Eastgate Park Way, just off of North English Station Road, near Route 60 in Louisville.